When we want to bring ourselves in a closer relationship with the infinite goodness, we should think, “I have no value. Rather, my value is negative. It is my tendency to oppose the Lord’s grace. If Krishna wants to grace me, I try to resist. I am constituted of such an element that I commit spiritual suicide. Krishna comes to grace me, but I oppose Him: the energy that is within me tries for suicide. This is my position, but a blade of grass won’t oppose anyone. I have such a nasty position.” We must realise that we are in such a predicament. With this concern we may accept the goodness of the Absolute Truth in the form of His Holy Name. We should not think that the path will be very smooth; so many troubles may come from outside. When the devotees go to chant Hare Krishna in the street, many people come and shout, “Hey, you monkeys! Red-faced monkeys!” So many forms of hindrances and opposition will come and try to affect us, to dissuade us from this path, but we must practice forbearance like that of a tree. Why has the example of a tree been given? It has been analysed in this way: if no one pours any water on a tree, it does not protest, “Oh! Give me water!” If anyone comes to disturb the tree, snatching its leaves, cutting its branches, or even chopping it down, a tree remains silent; it gives no opposition. We should try to see how insult, poverty, punishment, or other unfavorable dealings are necessary to purify us, and with minimal punishment we shall be released from material existence. 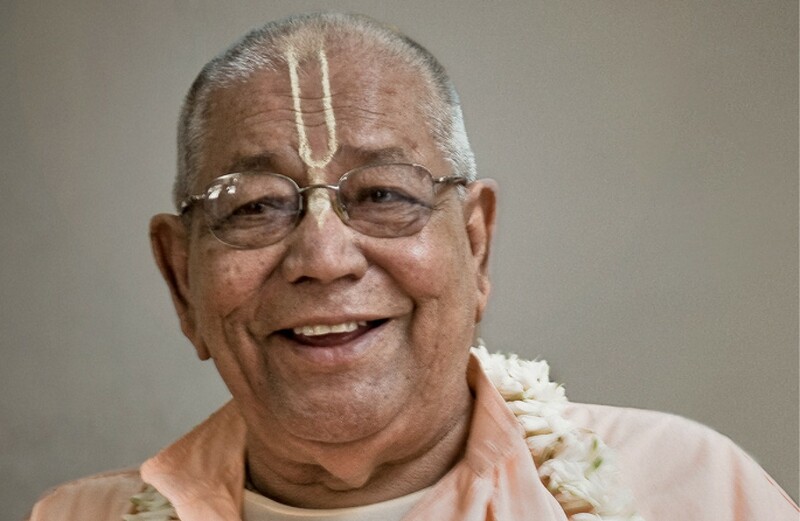 Through Krishna consciousness we have connected with the highest object of life, the highest fulfillment of life—what price are we ready to pay for that? It is inconceivable. Whatever little demands may be exacted from us, we must accept with a smiling face, considering the highest goal. If we are really confident, if we have faith in our bright future, then we can gladly pay what little price nature wants to take from us. The advanced devotees are established in the consciousness that Krishna is behind everything, and they take everything in that way. This attitude is our beacon light, for it will guide us to adjust ourselves with those things that are apparently unfavorable to us. A sweet adjustment is found there, and so we are advised to be more tolerant than a tree. We may not give any opposition; still, opposition will come to disturb us. And we must forbear. I am That: I am He,” eliminating from their consideration the fact that we are tiny and suffering in misery. All these practical things are ignored by the mayavadis, the impersonalists, but position, or ego (pratistha), is our worst enemy. In this verse, we are advised to deal with prestige and position in a special way. That priest remarked, “We are residents of the holy abode of Vrndavana, and brahmanas as well, so we are in a position to give benedictions to Raghunatha Dasa Goswami.” Upon hearing these words, our Guru Maharaja, who was at Radha-kunda at the time, began fasting. He remarked, “I have to hear this? This fellow is under the control of lust, anger, and greed, and he says that he can show his grace to Dasa Goswami, the most respected preceptor in our line! And I am to hear that?” Without retaliating against his remarks, he decided to fast. Of course, anyone may deceive the ordinary public with superficial humility. But a show of humility is not real humility. It must come from the heart, and it must have a real purpose. Everything-humility, tolerance, and pridelessness—must be considered by the judgement of a standard, normal person, not by the ignorant who are like elephants, tigers, and jackals. Should they be allowed to judge what is humility, what is audacity and impertinence? Of course not. Should a devotee think, “The Deity and the temple is about to be molested, but I shall stand by and do nothing. I should be humble and tolerant. A dog is entering the temple; I should show him respect.”? No. This is not real humility. We must have a normal conception of reality. We must not allow these anomalies to continue in the name of offering respects to others. We must not think that we may allow anyone to harm the devotees or molest the temple, that we shall allow the dog to enter the temple, and by doing this we are humble and tolerant, we are showing all respects to others. We are not interested only in the physical meaning of the Scriptures, but the real meaning. We must always understand what is to be honoured. We offer our respects to the highest truth, the Lord of Lords; our dealings should be in consonance with that. If we always keep the highest conception of relativity within us, we will see that we are the lowest. If there is danger to our guardians, we shall sacrifice ourselves. All of this should be taken into account when trying to understand the meaning of humility, not physical imitation—but genuine humility; it is a question of practical realisation. Fame and honour must be given to the Lord and His devotees, not to anyone else. 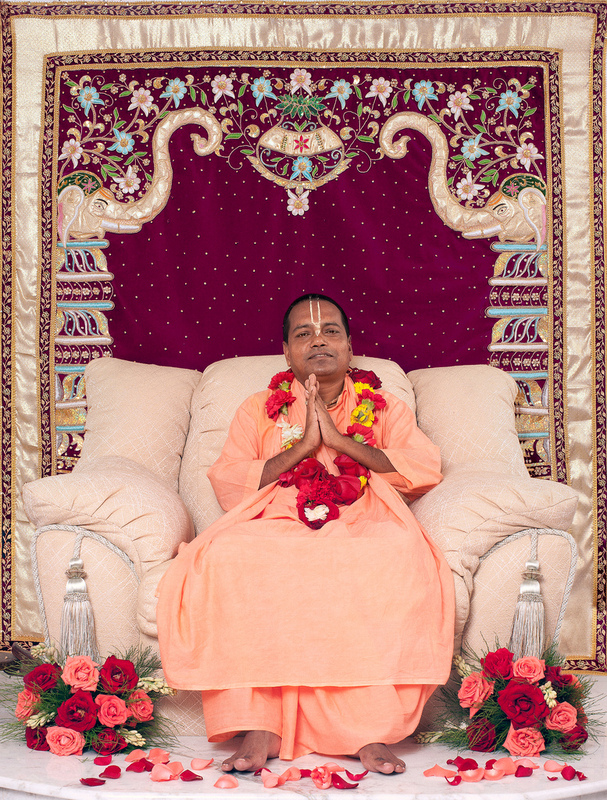 In the higher stages of devotion, of course, humility may have to be adjusted in another way for the paramahamsa babajis, the topmost swanlike saints who have given up all connection with this material world. But in the preaching stage, the second class devotee must accept things differently. As our Guru Maharaja said, “Had I been in the role of a babaji, a nonassertive, reclusive saint, I would have walked away from the place without offering any opposition. But when we are preaching and have taken the responsibility of leading so many souls to the domain of the Lord, our adjustment must be made accordingly.” Generally , we may be indifferent to those who are personally inimical to us, but when we preach on behalf of the Lord in an organised way, our duty changes: we cannot be indifferent to antagonists. 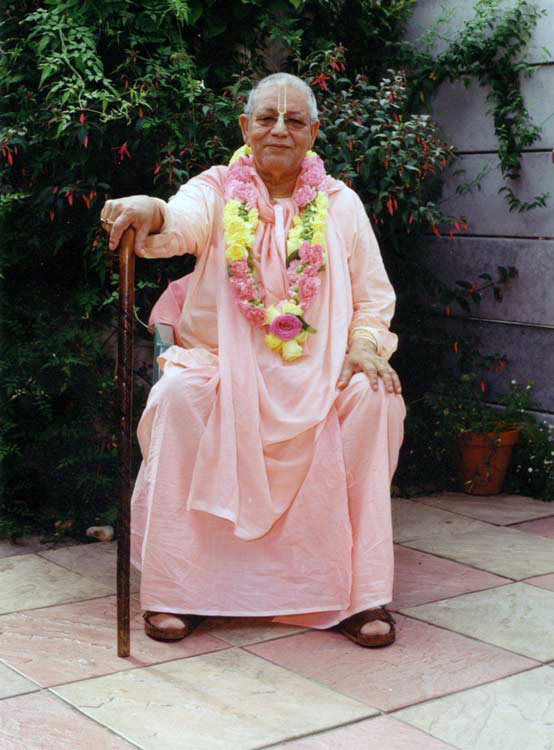 It is mentioned in the scriptures by Jiva Goswami that according to one’s own particular status, these things should be taken into consideration and the necessary things should be done. 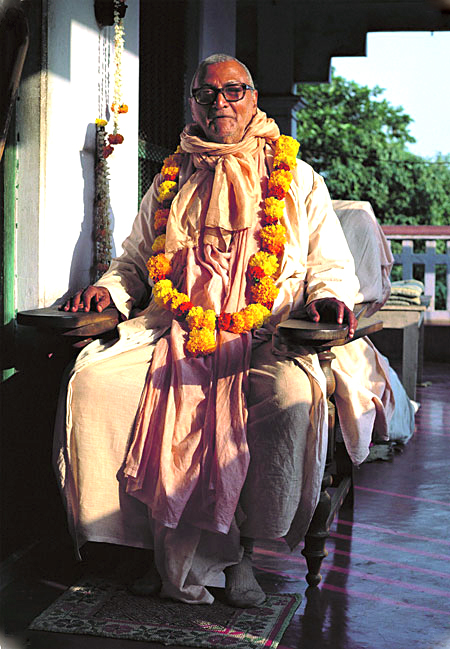 He has given his decision that if the devotee has a position of power, if he is a king, and if someone repeatedly blasphemes a real Vaishnava, or saintly person, then the king should enforce corporal punishment by banishing the offender from his state or by cutting out his tongue (vaisnava nindaka jihva hata). That is not the duty for ordinary persons; if they act in such a way, there will be a riot. We should not be eager to inflict physical punishment upon anyone. Hanuman is a Vaishnava, but he is seen to destroy so many lifes. The same is true of Arjuna and so many other devotees. Even Krishna and Ramacandra are also seen to kill so many demons in war. Simply a physical show of meekness does not constitute the real meaning of humility. When there is an insult to the Guru or the Vaishnavas, a devotee will oppose the blasphemers according to his might. Bhaktivinoda Thakura, in one of his songs, says that we should not only tolerate the evil-doings of others and a disturbing environment, but we should do good to those by whom we are being tortured. The example is given of a tree. One who is cutting the tree gets shade and comfort from the tree even while cutting it down. In conclusion, he says that humility, mercy, respet for others, and renunciation of name and fame, are the four qualifications for chanting the Holy Name of Krishna. We are the meanest of the mean. We should always be conscious that we are beggars. We should think, “Although I am a beggar, I’ve come to beg for the highest thing; let no disturbance dissuade me from my attempt.” At the same time, our attitude toward the environment should be respectful. In this way, by becoming educated in the Krishna conception of divinity, everyone should be given respect accordint to his position. It is the guiding instruction in the worship of the holy name (nama-bhajana) that we must take the position of the slave of the slave of the slave of the Lord. If you want to chant the name of Krishna, then don’t waste your energy with the trifling things of this world. Don’t allow your attention to be disturbed by tiny acquisitions like prestige or gain which is relative to money or physical comfort. Remember, you are trying for the greatest thing, and all other things are very small in comparison to Krishna consciousness. So, don’t waste your energy and valuable time. Be economical. You have the chance to achieve the highest goal of life.